Wendy Lee Rush (Wixson), 48, and James (Jim) Carl Rush, 52, were killed in an automobile accident on Friday, February 19, 2016, in Green Bay, Wisconsin. 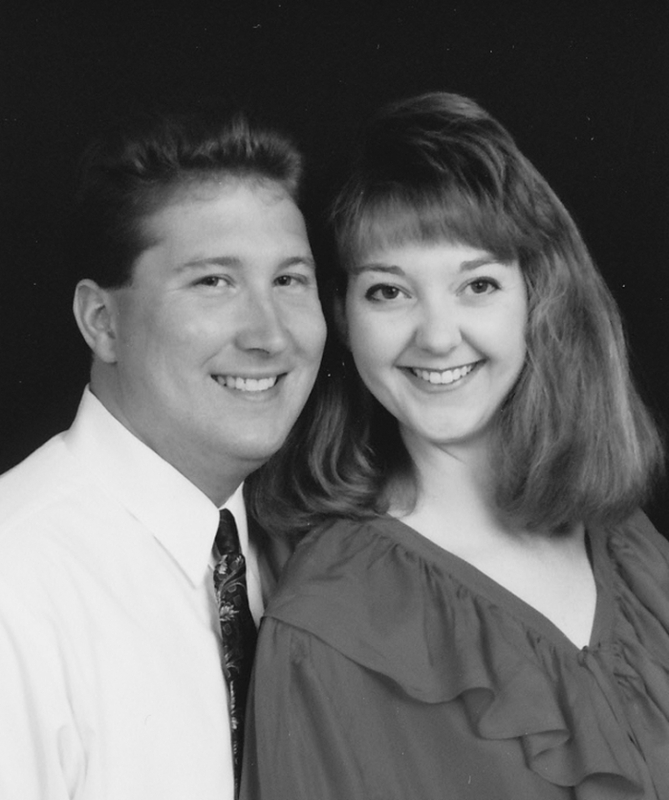 Jim and Wendy were parents, aunt and uncle, mentors, coaches, volunteers, co-workers, and friends within the Wisconsin, Michigan, and Illinois communities in which they resided over their 21 years of marriage. Since 2011 they have made Green Bay their home with their two children, Megan and Christopher, who are currently a freshman and a junior, respectively, at Pulaski High School. Wendy was born July 1, 1968 in Flint, Michigan and graduated Flushing High School in 1986. Raised by Jean and Ray Hagan who reside in Flushing, MI, she has one brother, Ronald Wixson, who lives in Saginaw, MI with his four children. Jim was born December 21, 1963 in Charlotte, Michigan and graduated Middleton High School in 1982. He was raised by James and Kathy Rush of Verona, WI, along with his two younger brothers: Daniel and Michael Rush. Daniel resides in Basking Ridge, NJ along with his wife and four children, and Michael resides in Hong Kong. The couple met at Michigan State University, where they both attended The Eli Broad College of Business and graduated in 1994: Jim with his MBA in Materials & Logistics Management and Marketing, and Wendy with her MBA in Marketing. Prior to that Wendy had obtained her BA in Economics, French, and Management from Albion College in 1990; and Jim graduated from the University of Wisconsin-Madison with a BS in Agriculture-Horticulture in 1986. At the time of their death, Jim was Director of Logistics for Creative Converting in Clintonville, and Wendy was Director of Marketing at Integrative Therapeutics in Green Bay. The couple was married in Flushing, MI on November 11, 1996. Their son Christopher was born in 1999 and their daughter Megan in 2001. From that moment forward, their passions centered on their children. Jim was a baseball coach with the Pulaski Youth Organization (PYO) as well as with the Tri-Cities Little League in Illinois. Wendy was an active member of the Pulaski High School Music Boosters and was also heavily involved in the PYO baseball teams. Wendy will be remembered as an energetic and devoted mother, as well as a skilled marketer. Her passions included cooking with inspiration from the Food Network, serving as room mom throughout the elementary years for her children, Girl Scout troop leader, and an avid fan of music, dogs, The Packers, and chocolate. Jim was an operations and supply chain expert, as well as the quintessential family man. He will be remembered for his integrity, as well as his amazing abilities to build things and make beautiful gardens grow. Also a Packers fan, he had a passion for boating, barbecues, camp fires, gardening, and ‘80s rock music. Visitation will be held on Sunday, February 28, 2016, at Lyndahl Funeral Home, 1350 Lombardi Avenue, Green Bay, WI, from 1:00 pm until 5:00 pm. Visitation will continue on Monday, February 29, 2016, at the funeral home from 9:30 am until the time of memorial service at 10:30 am. Online condolences may be expressed at www.lyndahl.com. In lieu of flowers, contributions may be made to the ‘Rush Children Assistance Fund’ and mailed to Lyndahl Funeral Home (C/O Rush Family), 1350 Lombardi Avenue, Green Bay, WI, 54304.